1. What should I do if my order hasn't been delivered yet? It usually takes 10 to 14 days for the parcel to arrive from Cambodia (or 5 to 7 days if it is silk); please allow until this date for your order to arrive. It is also worth checking if there are any local delays in your area. If you think there might be a problem with your order, kindly contact our customer service at orders@artisansdangkor.com. 2. Will my parcel be charged customs and import charges? The cost of the ’’door to door” service provided by DHL includes insurance and freight. Additionally, you will have to pay all local destination charges such as the customs clearance charges and import duties, taxes on duties and taxes, handing fee, storage applicable in your country. 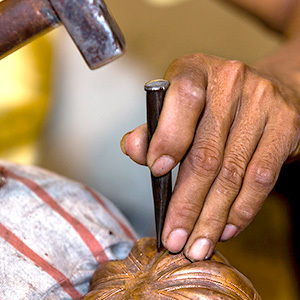 Please note that for some items inspired by the Angkorian heritage, such as stone products and lacquerware, 2 to 3 weeks are necessary to obtain an authorization of export from the Cambodian government to send the product(s) out of the country. 3. Is the insurance included in the shipping fees? Yes. The insurance via DHL is mandatory and included in the shipping fees displayed on the website. It represents 1,5% of the value of the order, with a minimum of 10$. This insurance covers the replacement and the transport of every defective item: broken, mistaken, etc. 4. Can I have my order delivered to my work address? We can deliver to your permanent residential address or your place of employment. If you want your delivery to reach you at work, you need to be confident that someone will be there to take receipt of the parcel. 5. What do I do if I receive a faulty item in my order? We want to sort out any issues straight away. As soon as you discover an anomaly, please contact our customer service at orders@artisansangkor.com. 6. An item is missing in the parcel, what do I do? We may have sent your items in separate parcels so please check your emails to see if any of your items will be arriving separately. If not, please contact our customer service at orders@artisansangkor.com. 7. How do I return something to you? 8. Who should I contact for tailor made orders? Should you wish to make a special order, kindly send an email to our customer service at orders@artisansdangkor.com with all relevant details and requests. 9. Who should I contact for product care instructions, or questions related to the history of the company and its social mission? For any inquiry/remark of that kind, kindly contact infos@artisansdangkor.com. 10. I heard about a 20% discount for online orders, but I don’t see it displayed anywhere. This 20% discount is automatically included in the shipping fees calculation. 11. How do you guaranty the quality of your products? 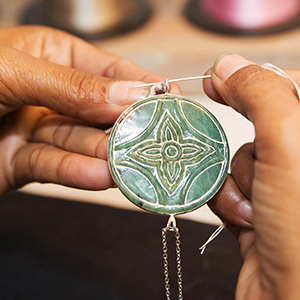 We guarantee that all our products are handmade with first-rate quality raw materials in Cambodian traditional workshops, by our trained Artisans. We also have numerous Quality Controllers who carefully check all pieces that are produced in our workshops before they are sent to our shops or worldwide. 12. 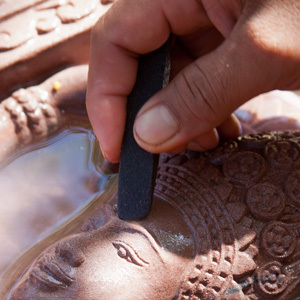 Are the benefits really reinvested in Artisans Angkor social mission in Cambodia? 13. How can I find out more about your social mission? Visit our blog our contact info@artisansdangkor.com with any questions! 14. 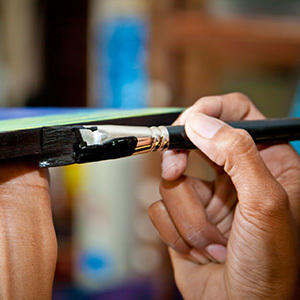 Is it true that it’s possible to visit your workshops for free in Cambodia? Please refer to our Terms & Conditions section or contact our customer service at orders@artisansdangkor.com.